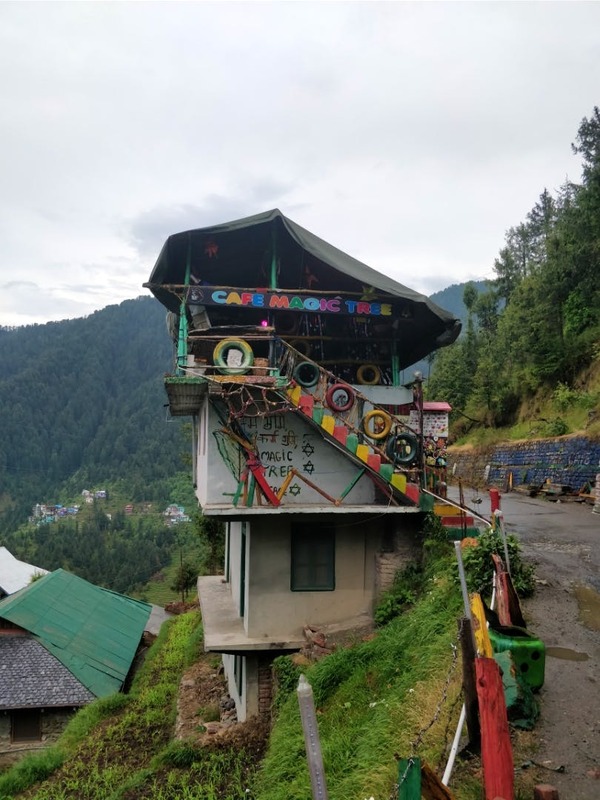 Away from the noisy mall roads and fancy cafes, Magic Tree Cafe is a must visit if you are in Dalhousie. A colourful quirky cafe that'll grab your attention with the upcycled decor and structure. Sit back with a cup of coffee in the afternoon and take a glance at the panoramic view of the Pir Panjal range. It is situated just 2.5 km from Gandhi Chowk and just 5 minutes walking from Zostel Dalhousie. One should definitely visit this cafe for the magnificent view, homelike food, and trippy evenings. It looks beautiful at night when it's lit up with trippy neon lights. You can spend the time playing carrom and other board games or just grab a beer and chill with your group. You can also request the hosts to play your playlist on request. The hosts are super-friendly and cooperative. Oh, and don't forget, it's a BYOB kinda place. The payment procedure can be worked on as they don't accept cards right now.